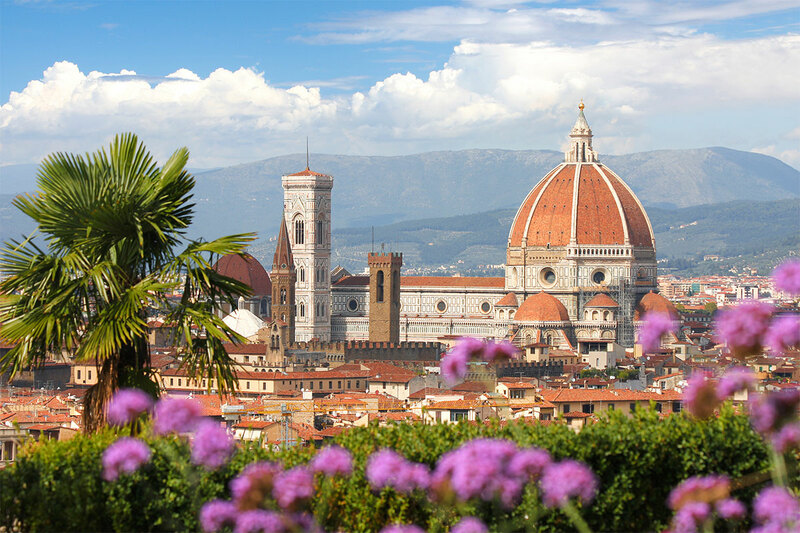 So, Italy is the next destination on your list and spring is when you want to go. In the land of la dolce vita, spring makes its first appearance in March and reaches full bloom in April through to May. As the remnants of winter melt away, the colours of spring add to the beauty of the Italian streets. 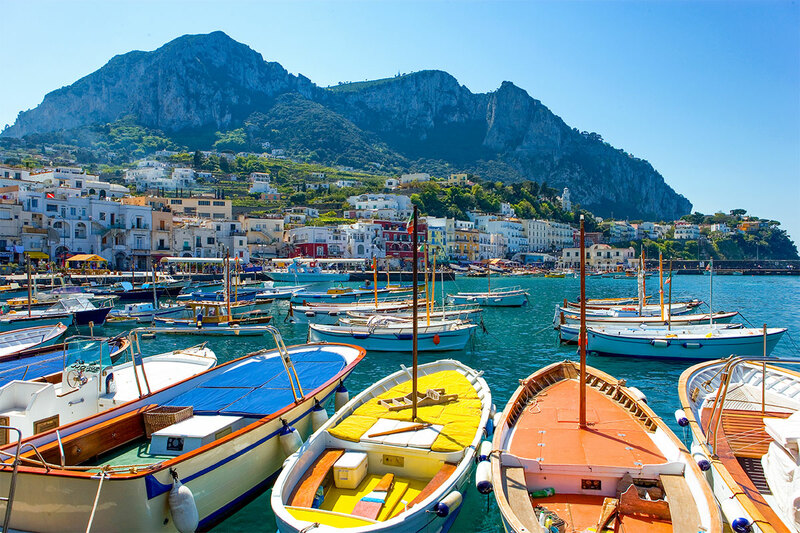 We’re here to give you the lowdown on what you can expect on your trip to Italy in spring! 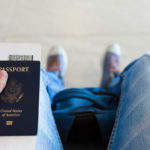 Is it cheaper to travel during spring? 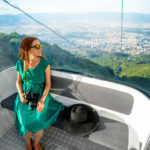 Technically, spring should present itself during the shoulder season – which is synonymous with cheaper prices and fewer crowds. 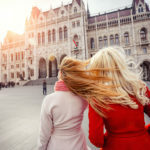 Shoulder season in Europe occurs between the peak tourist season (June – August) and the less popular low season (December – to February). Italy, however, has a shorter shoulder season than most other European countries. This is partly due to its location on the mediterranean coast. You can expect summer days from May onwards, which means spring (shoulder season) is in March and April. 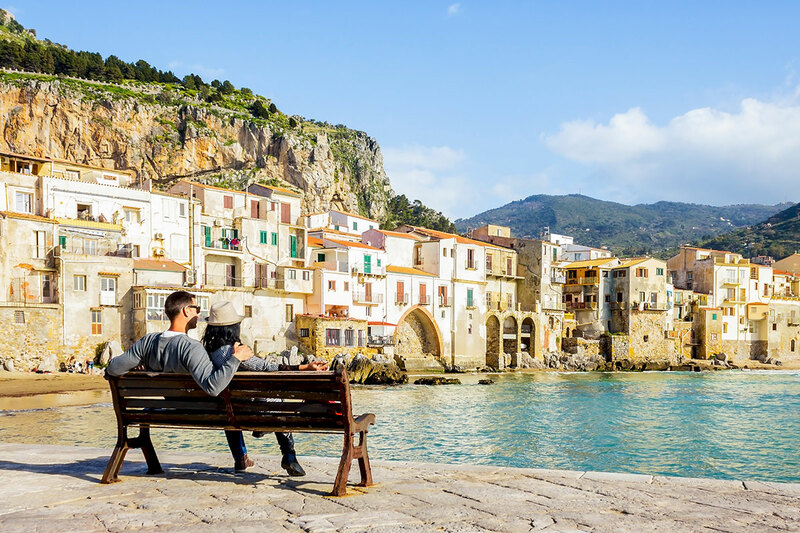 Thus, your time to travel during Italy’s spring shoulder season and save money, has been limited down to two months (March and April). So, be sure to take advantage of the money-saving perks of shoulder season while you can! As we mentioned above, Italy’s spring months include March, April and May. What kind of temperatures and landscapes can you expect? In March, the spring blossoms start to appear, but you can expect the nights and early mornings to still be a bit nippy. While April means spring is in full swing and the heavy winter coats have been shed – as the blossoms and scents of spring are tickling your senses. In recent years, heat waves hit Italy in late May. So, the weather will be warm and sunny but it also means that the crowds will start flooding in. Top Tip! Be sure to pack a warm jacket – it can always be removed when you get hot, but you’ll love it in the chillier moments. 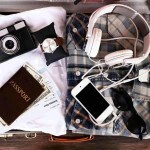 Take a look at this post, to help while you’re packing. 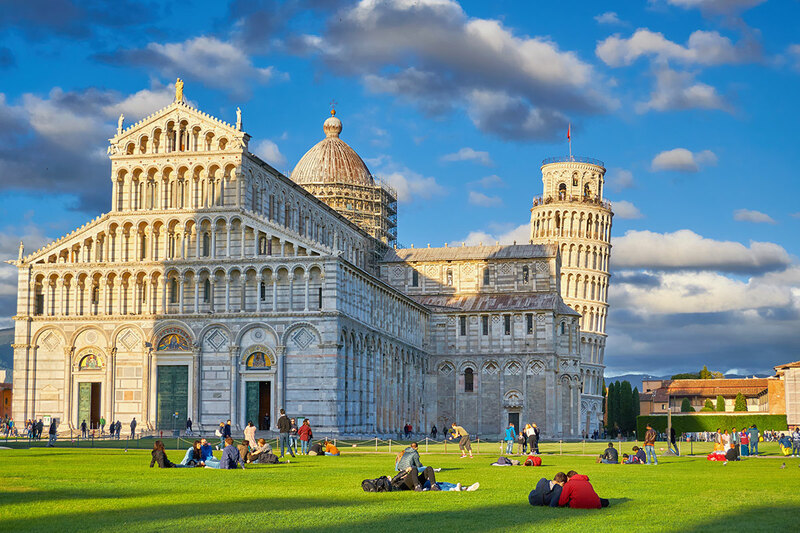 What could be better than a picnic at the Leaning Tower of Pisa? The Rome Marathon takes place in April each year. Run 42 kilometres in the footsteps of gladiators and Roman Emperors. 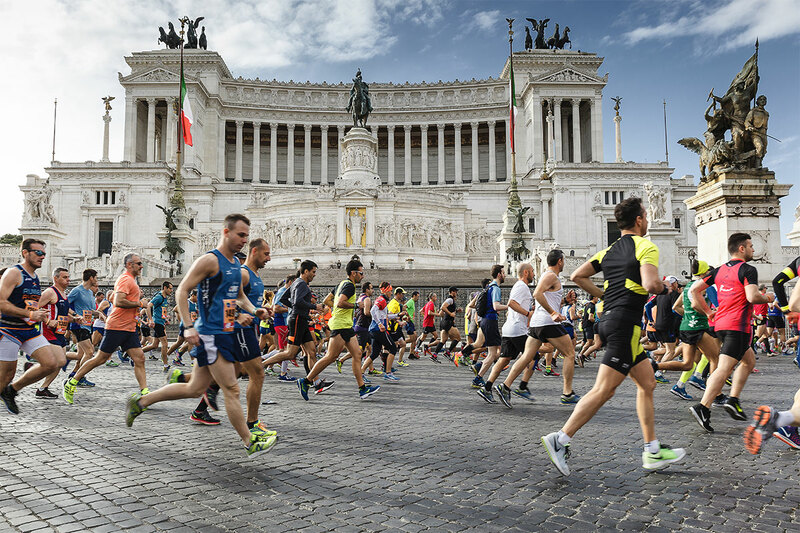 The best part is that while you’re running, you’ll be glimpsing all the iconic landmarks of the historic city of Rome. The route starts and ends near the Colosseum. If you also want to be part of the fun, but not run a full marathon, the Maratona di Roma also has a 4km Fun Run! An important thing to note is that Easter is one of the biggest and most important holidays in Italy. What does that mean for a tourist? 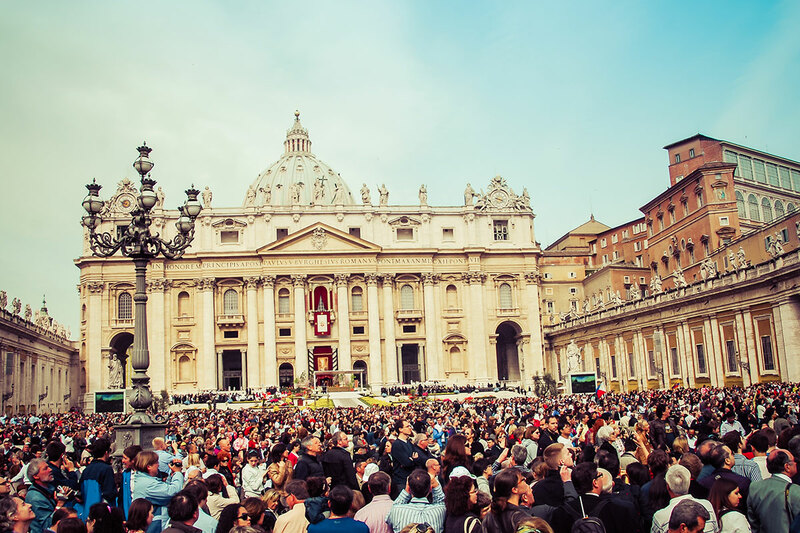 You will have an array of cities or towns to choose from, to see the Italian festivities. And, it also means that business hours could be affected/changed or closed altogether in certain shops and sights. So, be sure to book in advance and make sure that you’re where you want to be before the streets are lined with people. 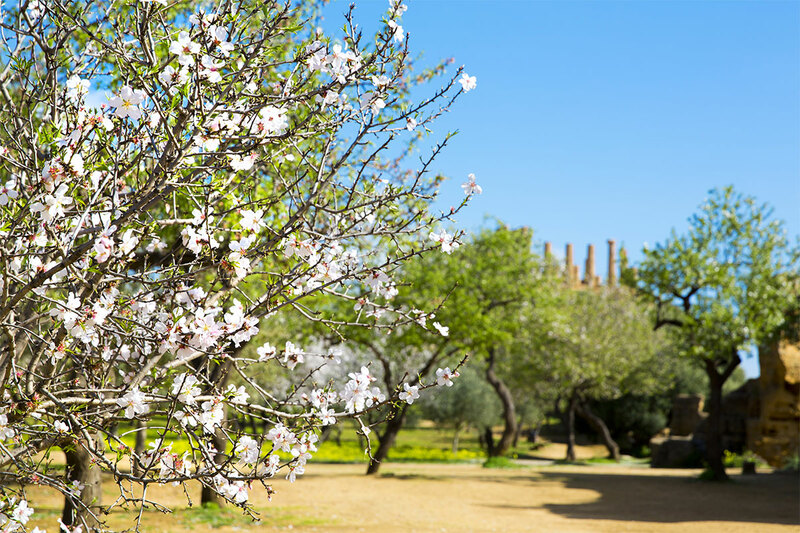 The Almond Blossom Festival is a popular festival, which takes place in the city of Agrigento, Sicily. The festival either takes place at the end of February or early in March – depending on the blossoms. If you’re wanting to capture the spirit of spring in Italy, this is the best place to do it! The event was founded in 1936 and celebrates the arrival of spring over ten days. What used to be a harvest festival is now and international event with performances by folkloric groups. In April, you can look forward to celebrating the spring blossoms with a glass of vino. Vinitaly is an annual competition that is held in Verona, the country’s wine region. The first competition was held in 1967 and has been going strong ever since. This is where all the winemakers and connoisseurs meet. 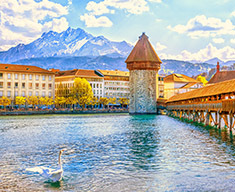 So, if you’re looking for spring blossoms, wine, moderate temperatures and unforgettable sights – then it’s time to pack your bags.